Australian telecoms regulator the Australian Communications and Media Authority has announced a “sustained reduction” in complaints to the Telecommunications Industry Ombudsman (TIO) from consumers regarding customer service issues. In September 2011 ACMA warned operators to improve their customer service and complaint handling by February the following year or face tougher regulation. At the time, the regulator had recently completed a public inquiry and found that the majority of consumers were dissatisfied with their experience of customer care in the industry, regardless of which service providers they were with and which products they offered. ACMA claims that customer complaints have gradually fallen since its announcement, despite an upturn in the first half of 2013. 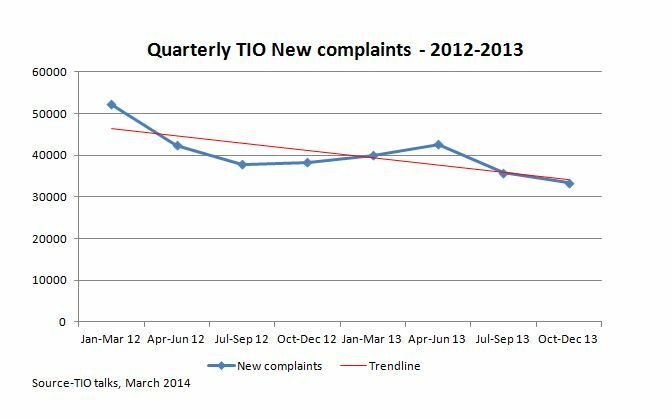 It said that data published by the TIO this week reveals that in the quarter ended December 2013, the body received the lowest amount of complaints in a quarter in six years. Complaints regarding issues about transferring services between providers fell 21 per cent, while complaints about complaint-handling fell 19 per cent and complaints about faults 17 per cent. Overall there was a 6.7 per cent drop in complaints from the previous quarter. The TCP code applies to interactions between telecoms service providers and their customers. It was revised in September 2012 to instruct operators to provide: the minimum information at the point of sale to customers, including a two-page document called a Critical Information Summary; information in plain and simple language, including unit pricing in advertising; and obligations regarding credit management, customer transfers and handling of complaints. In Australia’s mobile market, Telstra holds a market leading position with 15.9 million subscribers as of December 2013, according to Informa’s WCIS. Second placed Optus has 9.5 million subscribers while Vodafone Australia has 5.5 million subscribers.